When Kathryn Olson was a student at Northern Illinois University, she became part of Huskie Service Scholars to network with peers and get involved in campus and community service projects. Because the program contributed to her career path, she gives back as an NIU volunteer to improve the lives of current students. 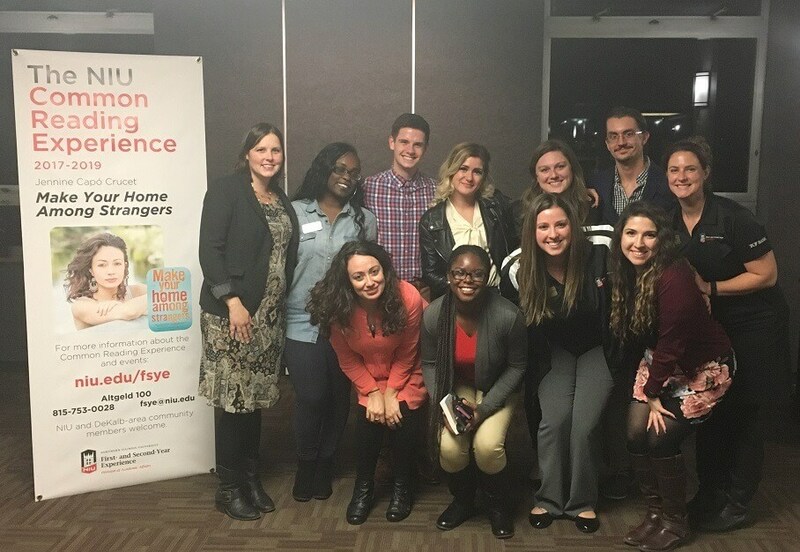 After graduating as an environmental studies major in 2014, she became an AmeriCorps VISTA volunteer for the NIU Office of Student Engagement and Experiential Learning (OSEEL) and especially enjoyed the reward of working with children in the community. AmeriCorps VISTA is a national service program designed to alleviate poverty. “When you are able to work with kids on improving their lives, you know it will have a long-term impact in shaping who they’ll be as adults,” Olson said. As part of the VISTA program, Olson worked with disadvantaged youth at Camp Power and developed NIU’s Communiversity Gardens by applying for a grant. 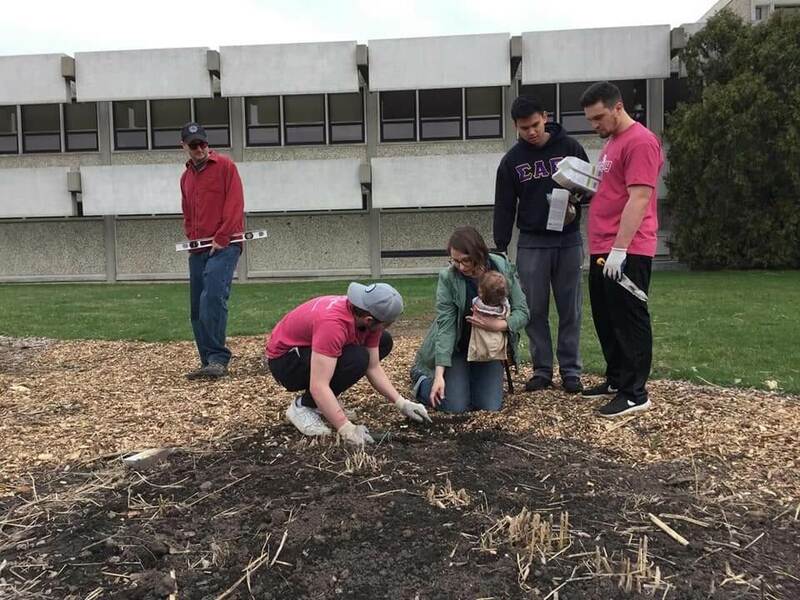 The gardens provide produce to the Huskie Food Pantry and education and volunteer opportunities for students, faculty, staff and the surrounding communities. She also hosted presentations on college readiness for local middle school and high school students and gave back to the Huskie Service Scholars program, which provides academic, social, civic and professional development resources for eligible first-year and transfer students (Pell Grant or first-generation college students). She gave guidance to the students and ensured that they were getting in their 300 hours of campus and community service for the school year. During this last academic year, Olson chatted via video with Huskie Service Scholars to share how Northern programs redirected her to community service roles. Her volunteer work at NIU led to an AmeriCorps internship with the U.S. Bureau of Land Management in Arizona. After serving in that internship, she realized what a career as a public servant was like and set her sights on working for the government in the environmental field. She is now working on a master’s degree in environmental studies at the University of Montana to reach her goals. Aspen Wheeler, an industrial and systems engineering major from Rochelle, Illinois, is one of many students who depend on alumni like Olson to get ahead in their fields while acquiring the best college experience. NIU’s community and alumni involvement on campus is one example of what separates it from other universities, Wheeler said, and her connection to alumni is why she views NIU as her home. “NIU alumni are involved in nearly every aspect of my life,” Wheeler said. Her participation in OSEEL programs has expanded her alumni network and opened doors for jobs. She works for an alumnus and serves as president of the NIU Equestrian Team, which is supported by alumni who provide mentoring, coaching, equipment, volunteer time and financial support to team members. 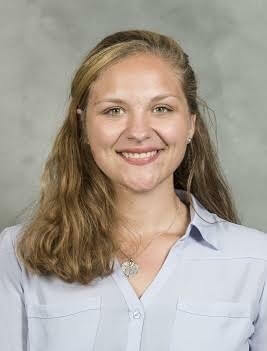 Alumni have also provided her with scholarships and contributed to her student experience and professional development. Wheeler depends on scholarships and grants to fund her education. She has had financial support through the McKearn Fellowship, created by alumni John and Cassandra McKearn and noted among the university’s most prestigious programs. The fellowship provides students with cocurricular and scholarship funding, academic programming and personalized advising to transform their undergraduate experiences and advance their professional development. 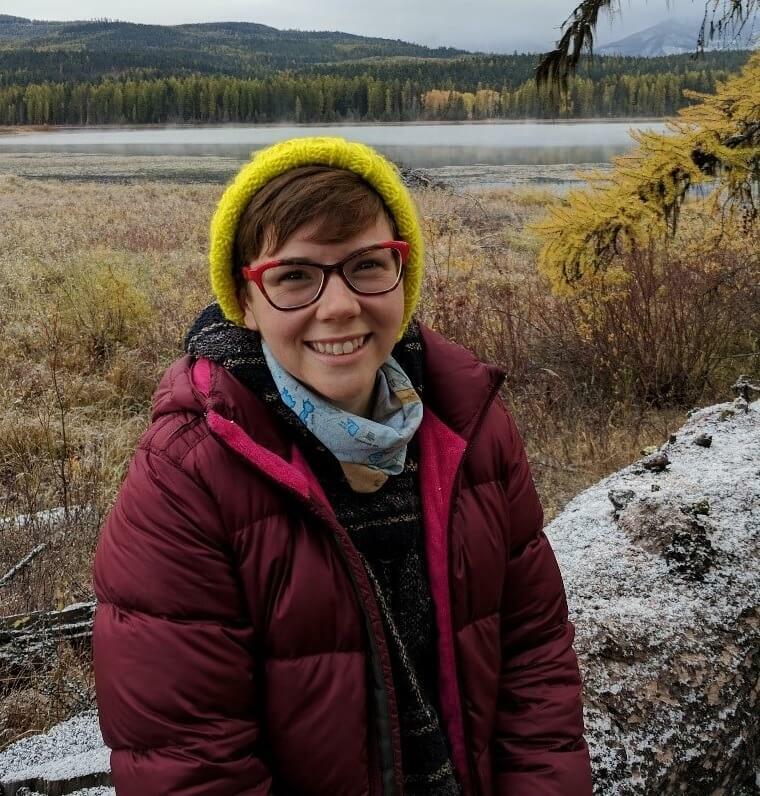 She has received other support from the Student Engagement Fund, Research Rookies and Simmons’ Scholar endowment, a scholarship program provided by alumni Jaymie and Harry Simmon. OSEEL is looking for alumni to give as little as an hour to speak with students about their college and career experiences, such as in research, community engagement or service learning, according to Michaela Holtz, OSEEL’s associate director. The alumni-student connection can lead to jobs for students, Holtz said, while giving alumni the chance to get acquainted with students who might meet their job requirements. Besides Huskie Service Scholars, another OSEEL program providing students with career readiness skills and community engagement experience is NIU Service Leaders, a federal work-study program for eligible sophomores, juniors and seniors. The students get in their service time by working with local middle schools, high schools and organizations that serve DeKalb County youth. As mentors, the students teach civics and civic participation as well as tutor reading and literacy. OSEEL is also dedicated to providing students with undergraduate research experience. During the spring semester, students have the opportunity to present their research and community engagement projects at Undergraduate Research and Artistry Day (URAD). During this special day, alumni are needed to judge projects, help at check-in and collect data to evaluate the success of URAD. Community engagement, undergraduate research and programs for first-year and second-year students are part of NIU’s high-impact educational practices to increase the rates of student retention and student engagement. Kelly Smith, director of the First-Year and Second-Year Experience programs, also wants to connect alumni with students. Her programs center on making the college transition process a smooth one and ensuring success for students academically, socially and personally. Alumni are needed to speak about their personal experiences, careers or community involvement to benefit first-year and second-year students. Transfer students can also benefit by connecting with alumni to meet a course requirement that requires them to interview someone in their field. Another way for alumni to reconnect with Northern is by submitting ideas for the Common Reading Experience, a campus-wide program that connects students, staff, faculty, alumni and community members through a book theme. The Common Reading Experience is part of first-year and second-year courses to explore themes of identity, gender, race, ethnicity and civic responsibility. Each year a team of faculty, staff, community members, alumni and students recommend a book for the Common Reading Experience. While these student programs and other high-impact practices are designed to increase student retention and engagement, they also build a sense of belonging and increase grade-point averages, students’ knowledge about resources and networking opportunities, according to Smith. Alumni interested in volunteering can fill out a brief form and express their interests at myniu.com.